I love my Instant Pot! 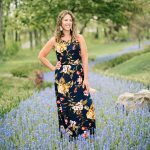 I am a firm believer every mama needs an Instant Pot in their arsenal. After I bought my Pot, I skipped the water test and went straight to hard boiled eggs. I know. Such a rebel, right? We love eggs around here. They’re fast, cheap, healthy, and so versatile you can have them for breakfast, lunch, dinner, or even a quick snack. Moreover, five out of six people in this house like them, which we consider to be a raving success…Glory! All you mamas out there with picky eaters can feel me on this one. 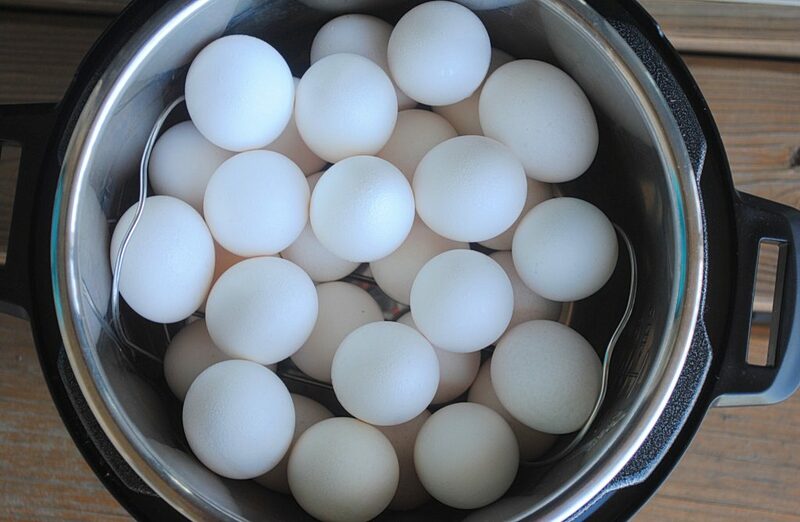 I love cooking my hardboiled eggs in the Instant Pot as opposed to the stove top because they peel so much easier saving me loads of time. And easy and time efficient is golden in my book. I also love that you can do a bunch of eggs at a time, which is exactly the way I like to do things around here…put in the effort once, and then reap the benefits all week. I personally like to use the 5-5-5 method, but everyone likes their eggs a little differently, so feel free to move the times up or down one a minute to adjust to your liking. Place your trivet in the bottom of the pot. Pile your desired number of eggs on trivet. Pour in 1 cup of water. Lock lid making sure your valve is set to seal. Set your pot to the manual high setting adjusting the time to 5 minutes. Once the pot has finished cooking your eggs, set a timer for another 5 minutes allowing your pot to naturally release for 5. Next, do a quick release (turn the valve to vent allowing the pot to de-pressure by releasing steam). Set timer for last 5 minutes. 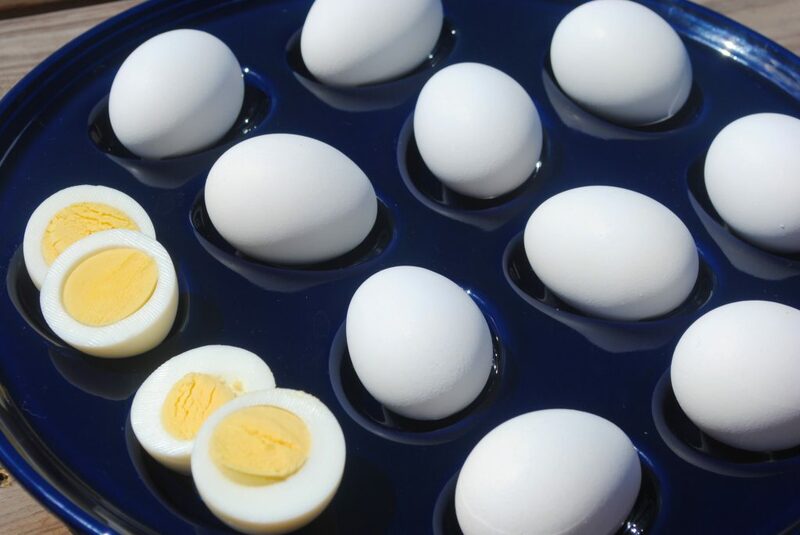 Place eggs in ice water bath for remaining 5. Peal now or later. Refrigerate and enjoy! Thank you for clicking around my site! 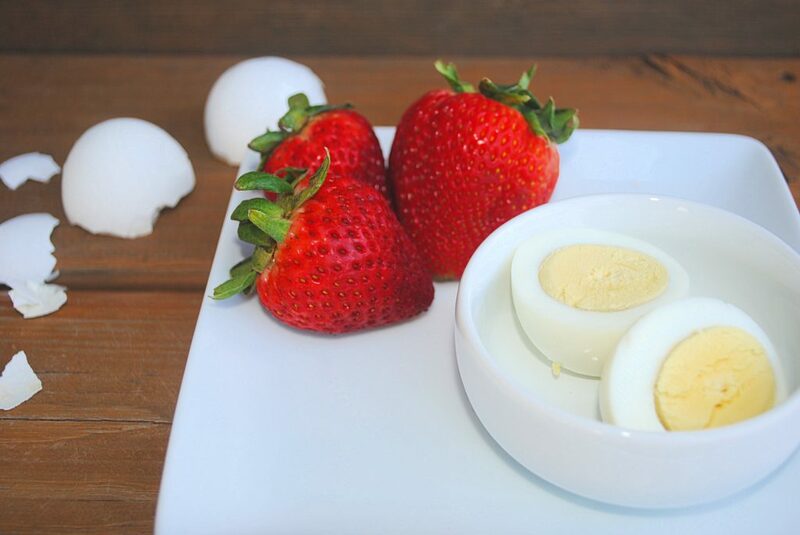 !What’s your favorite way to use hardboiled eggs? Do your kids eat them? Any other easy, kid friendly Instant Pot recipes you like to use? For more ideas for sides check out my roasted asparagus recipe. ***Mama In the Midst uses affiliate link programs. Great info — and awesome that you can do a small batch or crank it up for a big batch with this recipe. And those yolks look absolutely perfect! Thanks! Right! I can typically fit 3 dozen in the pot, so that gets us by for the week! One and done! My favorite!! I had to go 6 minutes on the instant pot maybe because we live at 5000 ft? I would say so. That does effect cooking times. I’venalso had to adjust for egg size. If the eggs are especially large, I’ve done 6 before, too. Thank you for the tip!! How did they peel for you? I always love how easy to peel they using this method! Have a great day! Worked perfectly!! I did 2 dozen. Easiest peelers ever!! Thanks! Awesome!! I’m so glad! Yes! They peel so nicely! !